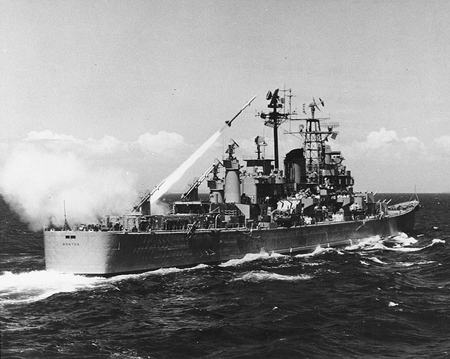 USS Boston started life as a heavy cruiser, seeing action in the pacific theater of World War II. 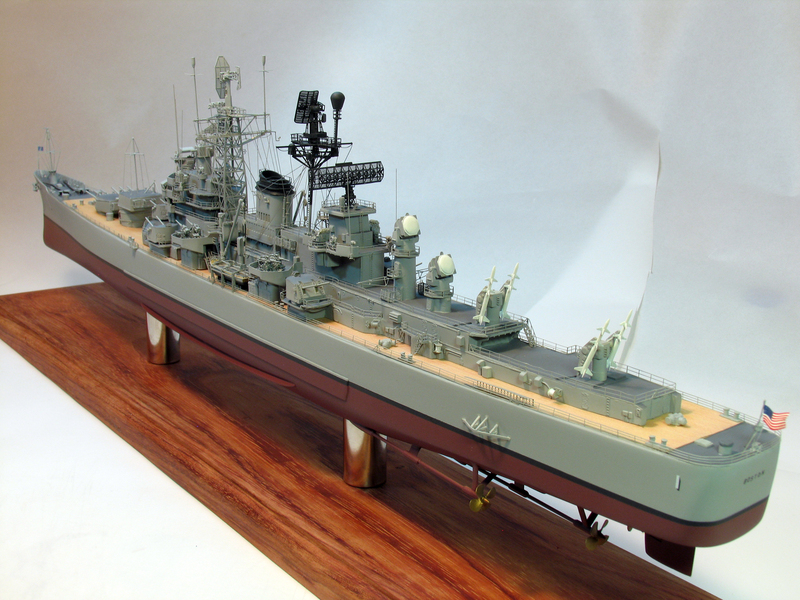 In the early-1950s she was significantly modified and reclassified as the worlds first Guided Missile Cruiser, CAG-1. As a young kid in the 60s, I always thought she was "cool" - big guns up front, unique new missile launchers and guidance systems astern. In 1966 I was given the 1957 Revell kit and immediately assembled it: I am sure it met the same fate as most of my models from that era - either the BB-gun or the matchbook (or possibly both!). In mid-2011 when Yankee Modelworks announced a 1/350 resin kit of Boston in her early-60s fit, I didn't have to think twice: I immediately ordered one. 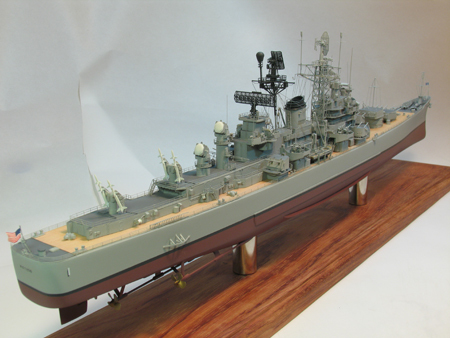 I probably should have thought about it, since my only other experience with Yankee Modelworks' products - USS Montana - left me less than enthusiastic. But the announcement was accompanied by some really nice-looking 3D renderings of what I assumed were molds, and I was hooked. This project consumed 18-months of hard-to-find modeling time. As I have mentioned elsewhere, This kit - for me - was *perplexing* to say the least. I build models for my own enjoyment (ie., not for contests, etc.) and my main goals are always a) to remain inspired throughout the project and b) to improve over my previous efforts. To wax a bit philosophical, this kit became my white whale. There were (many) times as I sat down to work on it that I actually dreaded it, while at the same time it represented a challenge to pretty much all of my modeling skills. It's too bad I had to spend so much time, effort and money correcting basic problems with the kit's workmanship. plans/instructions - 9 of 10. Despite all of the above rantings, I feel really good about having completed this project. It was challenging, and I believe the results have justified the effort (of course, that's a biased sentiment, but there you have it!). As I progressed thru the research, one issue that became clear is that Boston - even after she was reclassified to CAG-1 - changed mightily over her career. Many of the photos I collected of her are undated, and so I had to do comparisons between them, and learning sometimes very minor differences along the way... all part of the challenge. So... this section is devoted to my build of USS Boston, circa 1962. Use the menu at left to view associated pages.